Super G3 Transmission – With Super G3 transmission speeds, faxes can be transmitted in as little as 3 seconds, which is essential in a fast-paced office environment. Auto-Redial – Automatically redials the number and tries to send the fax again when a busy signal is received. One-Touch Dialing – Offers multiple buttons that can be assigned to the most important numbers. Users then press a single button to send the document to that number instead of entering it manually or browsing through a large phone list. 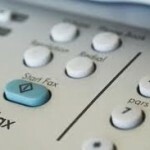 Junk Fax Blocking – Uses Caller ID to block faxes from a specific number, which is very useful for blocking junk faxes. Battery Backup – Some faxes include a battery that can keep the machine running during a power outage, ensuring that important faxes aren’t missed. 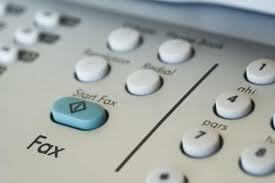 Fax Memory – Incoming faxes can be stored in memory so that they aren’t lost when the unit runs out of paper. 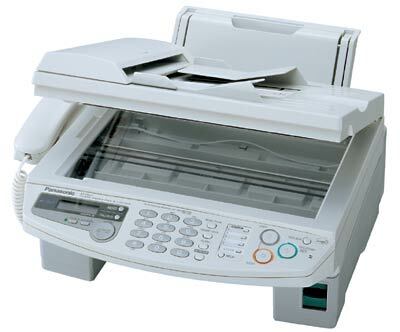 PC Faxing – This feature allows users to send a fax from the computer, much as they would send a document to a printer. This eliminates the need to walk up to the machine, and can help reduce paper usage as well. Some models allows users to receive faxes directly to their computer as well. Automatic Document Feeder/Flatbed Scanner – An ADF can help users scan many pages quickly, while a flatbed scanner provides more versatility in the types of material that can be scanned. Choosing a device with both offers the best of both worlds. Fax Forwarding – Forwards incoming faxes to another number. This can be useful when traveling or working from home. Remote Fax Retrieval – Allows users to log in remotely to retrieve their faxes from the unit’s memory. Auto Fax Reduction – Reduces the information to a single page for easier faxing. Delayed Transmission – Faxes can be scheduled for transmission at a specific time, such as when the office is empty. While this isn’t an exhaustive list of all fax features, it gives you an idea of some of the most important features to consider. By understanding what these features do, you can make a more informed decision as to whether or not to upgrade your fax machine to take advantage of them.